Enjoy an Ulster adventure, staying in Belfast, and discover the city which was the birthplace of Titanic, the World Heritage Site of the spectacular Causeway coast and a visit to Castle Ward, the location of Winterfell in the hugely popular TV series Game of Thrones. Book Online and Save £5 per person! BELFAST AND TITANIC BELFAST: Visit the world famous Titanic Belfast, which tells the Titanic story through nine spectacular interactive galleries housed in its iconic building, built on the site where the world's most famous liner was created. 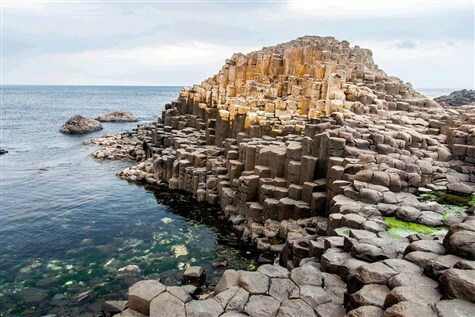 ANTRIM COAST AND GIANTS CAUSEWAY: We take the stunning coastal route via the small fishing town of Carnlough to the UNESCO World Heritage site of Giants Causeway, with its award winning visitor centre. CASTLE WARD: Explore the unique 18th century mansion. The farmyard at CAstle Ward is now famous for being the location of Winterfell in the hugely popular TV series Game of Thrones and the 'Whispering Wood' can also be found here. After lunch there is free time in the medieval town of Downpatrick, reputed to be the resting place of St Patrick and home to the St Patricks Centre. A lovely, homely traditional hotel located on the outskirts of Belfast. All ensuite rooms have TV, hairdryer and tea/coffee making facilities. The hotel has a restaurant, bat, grill and a lift. £50 Deposit required on all holidays.